A friend gave me a box of chocolates today after having a passionate conversation about nuts and chocolates the other day. Lucky. Thank you G!!! 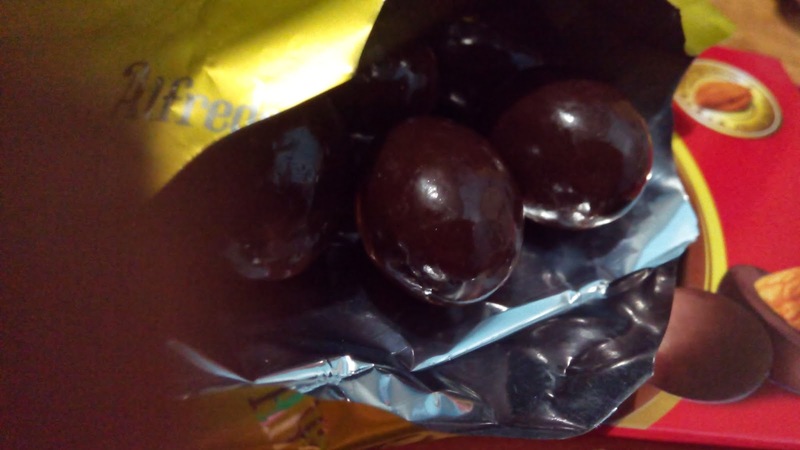 This is my first time to try this brand of chocolate although I remember seeing this brand in the grocery. Happy to note that its dark chocolate. ;) And with almonds too. Yey! The dark chocolate tastes good but its not that bitter, a bit sweet actually. 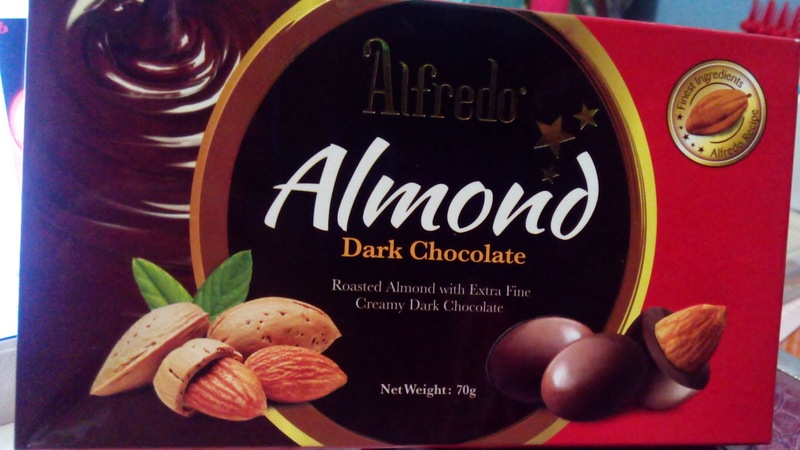 The almonds are crunchy so that means the packaging is superb. I've had a fair share of nuts that tasted moldy so I'm happy with this box. Two thumbs up! This brand is from Malaysia.